All Accessories, andone allen key is included in the package. 1.Stylish modern comfortable mesh computer chair with a breathable backrest, makes this chair a special place to sit, work and relax. 2.These chairs have a lift, tilt and rocker mechanism. So adjust to the required height, pull the leaver on tilt mode to tilt/rock and enjoy. 3.This is a black mesh computer chair with arms. Thearmrest will not only be comfortable but will also keep those elbows from getting sore. 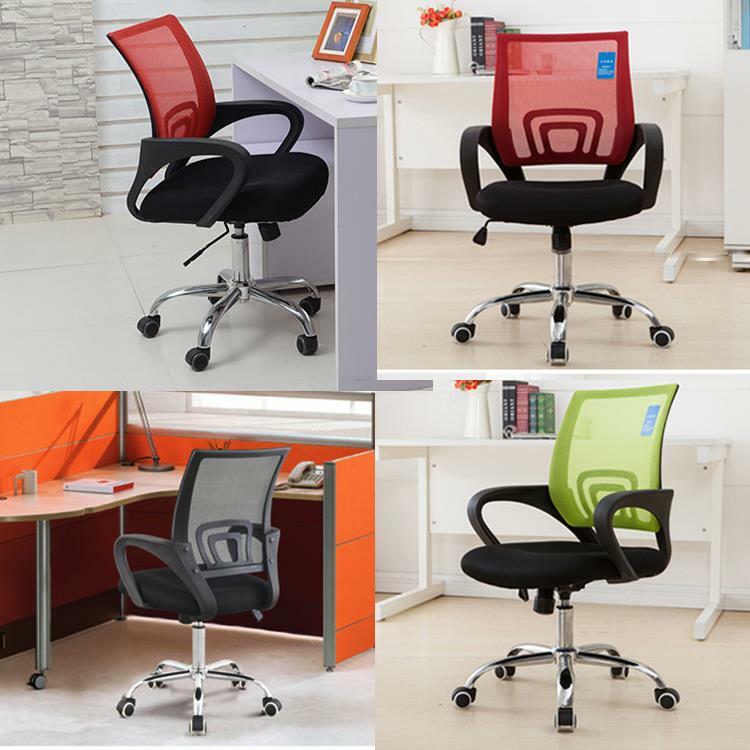 4.It is a office computer chair at low pricewith durable chrome metal base and quality casters. These chairs are built with quality in mind and will last you for years. We back this up with a 1 year warranty. 5.Available is a number of vibrant colours, making your work space a lively place to sit.